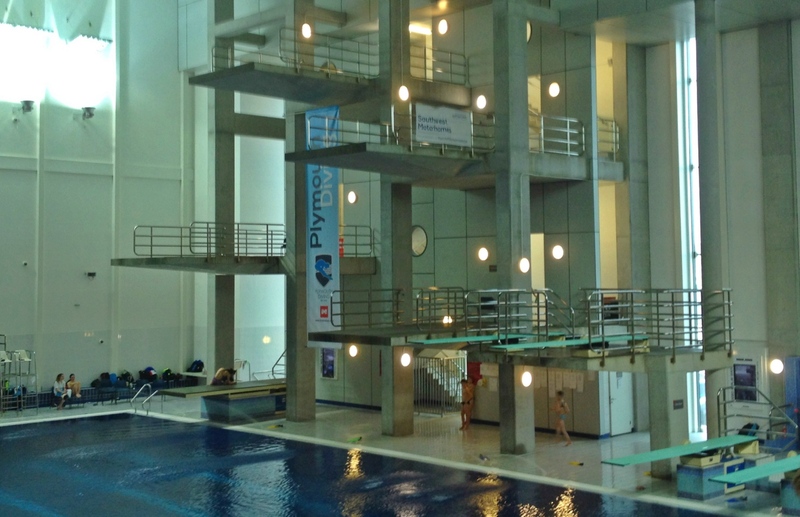 PLYMOUTH Diving returned home with four medals from the Swim England National Age Group Championships in Sheffield. There was an individual title for young Joshua Gibbs. He performed consistently throughout the boys’ group B one-metre springboard event to take the title. His standout dive was a forward 2 1/2 somersault in pike which scored him 52.00 points. There was also a gold medal for Katie Martin and Olivia Hall in the girls’ C/D one-metre synchro competition. They finished more than seven points ahead of their nearest rivals. Maria Marasescu managed to pick up two medals at Ponds Forge. She took an individual bronze in the girls’ B platform event before picking up another third place in the girls’ A/B three-metre synchro with Frances Burdett. There was also top five places for Scarlett Colbourne (girls’ D platform), Martin (girls’ C one-metre) and Ben Kearton and Oliver Heath (boys’ C/D one-metre synchro). Meanwhile, there was injury disappointment for fellow Plymouth diver Aidan Heslop at the European Junior Championships in Finland. Having picked up a bronze medal in the platform synchro with Lucas Thomson early in the week, Heslop was looking for more success on Sunday in the individual platform competition. However, he had to pull out after just three dives in the preliminary round with a thumb injury. GB team-mate Thomson won silver in the event.